Understanding the body cam laws of the state you live in is crucially important–the obligations of the officers around you and your rights to any footage taken. As we’ve discussed earlier, a lot of this type of footage can be made available though requests under state and federal public records laws. Each state has a different approach and many have–among other laws–limited or even required this sort of disclosure in certain situations. As we’ve seen in the shooting of Stephon Clark, the required release body cam footage such as the policy of the Sacramento Police Department can make a big difference in public transparency. However, we’ve also seen that holes in those policies such as allowing officers to mute their cameras (as the officers did after shooting Stephon Clark) can raise serious questions about police conduct. As we discussed in the last article, we’re going to go through the laws of each state alphabetically to help you learn where your state is on the issue. Several states have no laws at all or are in very early stages in creating these laws. These states are listed in the previous article and will not be discussed here. If you don’t see your state on the list, it is one of these states. Other than that, we’ve already covered the states up to Florida. Go check out the previous article if your state falls into those already covered. For today, we’ll be discussing Georgia to Indiana. In reading these, remember that individual department policies and county regulations such as Sacramento’s can change these rules further–it’s always worth looking into things like this to know your rights. 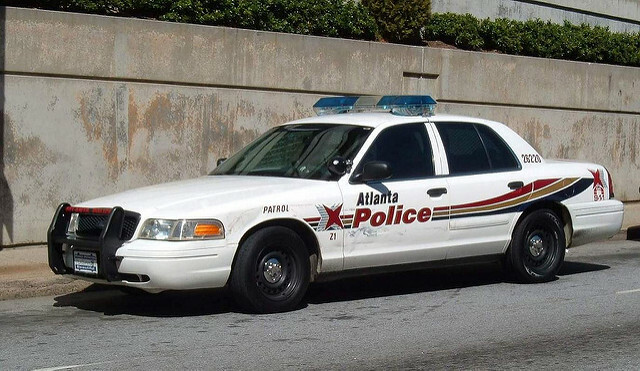 Georgia law focuses primarily, as discussed above, on when the public can have access to body camera recordings. The law leaves a situation where the recordings are generally accessible by public request, but the exemptions cover an enormous number of situations so as to substantially limit this public access. Any recording taken in a place where there is a reasonable expectation of privacy–such as the subject of a recording’s home–are exempt from public records rules. They can usually be accessed by the subject of a recording, the parents of a minor in a recording, or anybody subject to criminal or civil action relevant to the video. The law also makes some provisions covering how police officers handle recording and the footage it creates. First, it creates an exception to usual eavesdropping laws for body cam recordings made as part of official duties. It also requires officers to maintain body cam records for at least 180 days–a requirement increased to 30 months if the video shows an accident, detainment, arrest, or use of force or if it is part of a criminal investigation or pending litigation. There is explicitly no requirement (or real limitation) on redaction of recordings under state law–any requirements would instead be at a department level. As of 2015, Illinois has required independent standards from their Board of Police Training and Standards on the use of body cams. These rules include that cameras need to be equipped before any substantial event and capable of recoding at least 10 hours. Cameras must be on always, if circumstances prevent a camera from being turned on it must be turned on as soon as possible. There are a few exceptions to this last rule, such as when the victim asks an officer to turn off the camera, a witness won’t testify on camera, or when an officer is speaking to a confidential informant. Even then, an officer can keep the camera on in extreme circumstances so long as they explain why they’re not turning off their camera. Officers also can turn off their cameras during community caretaking functions. They are required to give notice when they are recording if there’s any expectation of privacy. This notice must be heard in the recording itself unless extreme circumstances prevent it, even then the notice must come as soon as possible. Officers must ensure their cameras are in working order and immediately notify superiors of any issues then fix them. The departments themselves need to track and report information on several statistics on body cam usage as well as train officers in the use of the body cams. Illinois also has in-depth state level laws regarding handling of body cameras and recordings. Any labeling, duplication, or redaction of recordings must be handled by people specifically designated for the task. Officers, and their supervisors, can only access the data to complete incident reports and only if that review is documented. The video is maintained for 90 days unless it documents a serious incident in which case it is kept for two years. If there is an ongoing investigation or case, it can only be deleted after the case reaches its end. The law also, a bit strangely, prevents a recording from being used in disciplining an officer unless there is a complain leveled against that officer, there is a use of force, or the video is used to corroborate other evidence of misconduct. Why the recorded actions of an officer aren’t generally available to punish an officer for misconduct is unclear. All body camera footage is exempted from the usual Freedom of Information Act public records requests. There is an exception if the data is flagged as part of a complaint or if the video shows a discharged firearm, use of force, an arrest or detention, death or bodily harm, or even if the victim or witnesses give permissions for the release of the video. Indiana laws surrounding body cams focus almost entirely on additional requirements placed on the public before they can access body cam recording data pursuant to the state’s open records law. Requests for such information must be in writing and must specify the date, location and approximate time of incident, and the name of at least one person, other than a law enforcement officer, who was directly involved in the law enforcement activity. Agencies are required to allow these “requestors” to view the recordings in question at least two times–not the most useful requirement to review a potentially quite long video but still something. Requestors isn’t just anybody requesting the data however, it includes subjects of the recordings, owners of real property depicted in a recording, or victims of person or property damage. Most notably, there is an additional element that is almost entirely absent in other laws related to body cameras around the nation, there are actual penalties for an agency’s failure to comply. Requestors can get attorney’s fees, court fee, and other expenses refunded if they are successful in a court action to see their footage. In general, public agencies must allow anybody to inspect a copy of a recording unless they can demonstrate that this release would pose a significant risk of harm to a person or the public, interfere with a person’s ability to get a fair trial, affect an ongoing investigation or would not serve the public interest. There is a specific exception for recordings showing airport security unless there is approval from airport security officers. All recordings must be maintained, unaltered and unobscured, for at least 280 days by state agencies and for 190 days by local departments. If there is a request to hold it longer from a “requestor” or a complaint is filed related to the incident the footage is held for at least two years. However, footage may generally be retained for any length of time. Footage that is part of a court case is kept until that case is finished. There are restrictions on copying footage, but the fee to police for such actions is capped at $150. Officers are also limited in what they can obscure in footage before it is released. Keep on The Look Out for More! If you haven’t seen your state in the articles thus far, you’re sure to see it soon! We’re going to go through all 50 states laws. We’ll be starting the next article with Kansas. Keep an eye out, and know your rights.